Go to any restaurant in Australia and you'll likely spot an IKEA ANTILOP highchair. 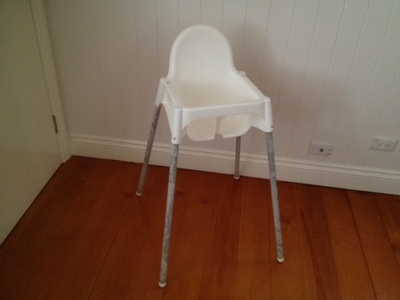 There's good reason for this - this highchair is probably the best value option on the market. It's star features are it's incredible low cost, ease of cleaning and ease to pack up small or stack with others. Retailing at only $24.99 plus another $5 for the tray, it's hard to find anything cheaper on the market. Whilst it functions well as an everyday primary highchair, the low cost means that it also makes a great second highchair at home. Use the spare one in the garden or for doing art with your toddler. It can be useful to have a spare highchair for visiting friends with babies or as an occasional highchair at a grandparents house. 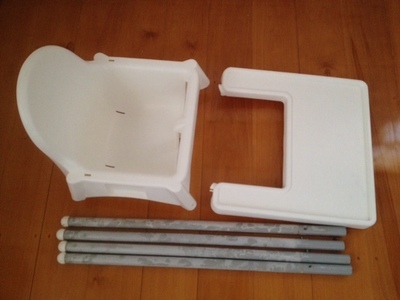 The IKEA ANTILOP highchair disassembles easily into three sections: the chair, the tray table and the legs. The legs can be removed quickly by pressing small pins in, then pulling the legs out. The disassembled chair can be easily stored in a cupboard, or transported in a car. It makes a great option if you're going camping. As you'll see in restaurants, the assembled highchairs also stack neatly on top of each other. 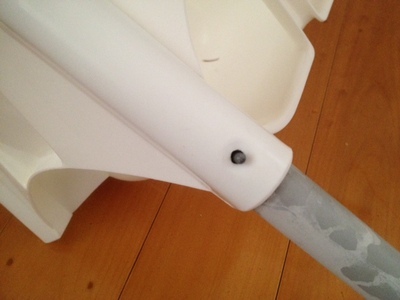 The IKEA ANTILOP highchair has very few pieces and no seams for food to get caught in. This makes it one of the easiest chairs to clean. You can pop the tray table off easily and wash it in the sink. 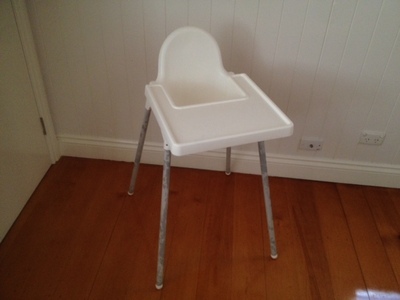 Have you tried the ANTILOP highchair? Share your feedback in the comments forum. The tray on my one is sometimes pretty difficult to get off, it's definitely locked in well! We have one of these - an example of great design. It's a way better chair than ones which are 10 times the price. 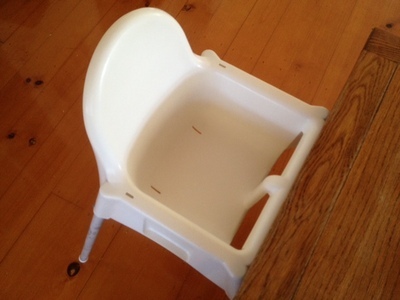 I totally agree - this is the easiest high chair to use in terms of assembly, transportation and clean-up. We bought the padding, but it didn't get used.